Buying a new family car - petrol or diesel? Following a drop in the wholesale cost of oil, petrol and diesel prices are not only at the lowest level for some time – but the difference in cost between the two is marginal. But there is still, typically, a hefty premium for diesel when buying a car new. So is diesel a false economy for a family car? We’ve picked 10 family-friendly cars and used our Fuel Cost Calculator to figure out whether petrol or diesel power is more cost effective, based on how long it takes to pay off the initial premium for picking a diesel engine. Please note that modern diesels - with a diesel particulate filter - require more than 15 miles to operate properly and are not suitable for a succession of short runs from cold. 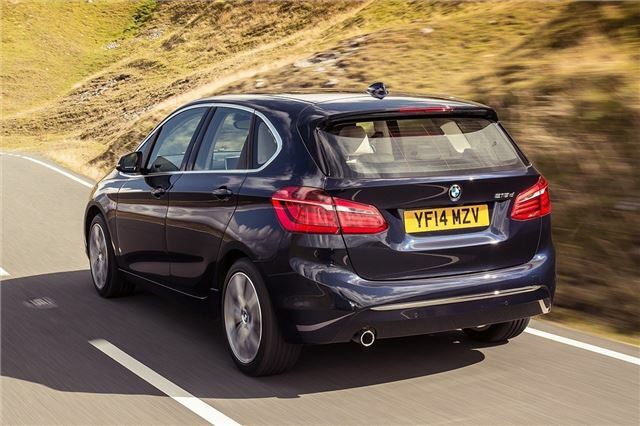 The 2 Series Active Tourer is one of the first front-wheel drive BMWs and it’s a great family car. The interior is well finished and spacious, the boot is practical and it’s very good to drive, plus it comes well-equipped, with navigation included as standard. We compared the 218i and 218d, both in Luxury trim, and discovered the diesel will need to cover a massive 195,632 miles before the £2080 premium is paid off by fuel economy benefits, based on official figures. That said, the diesel has more power and more torque, which might be enough to warrant the extra cost for some buyers.